Positano was such a dream that my heart still aches as I write this. I had extremely high expectations for Positano, and somehow, the little seaside town on the Amalfi Coast still exceeded them. The Amalfi Coast was the final stop on the Italian leg of our trip before heading to Paris, so there was also that extra pressure on Positano to be a worthy arrivederci to Italy. It was a trek to get there. 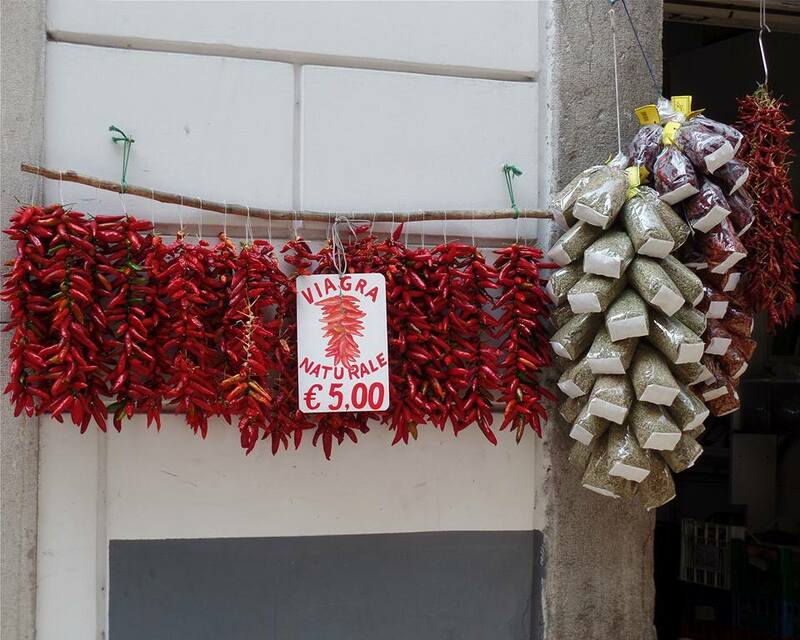 As I wrote in my last post, we had to first catch a Trenitalia train to Naples, a Circumvesuviana train to Sorrento, and finally — since we missed the last ferry of the day — a SITA bus to Positano. These infamous bus rides are destinations in themselves, with hair-raising views of the Mediterranean from a winding path along seaside cliffs. 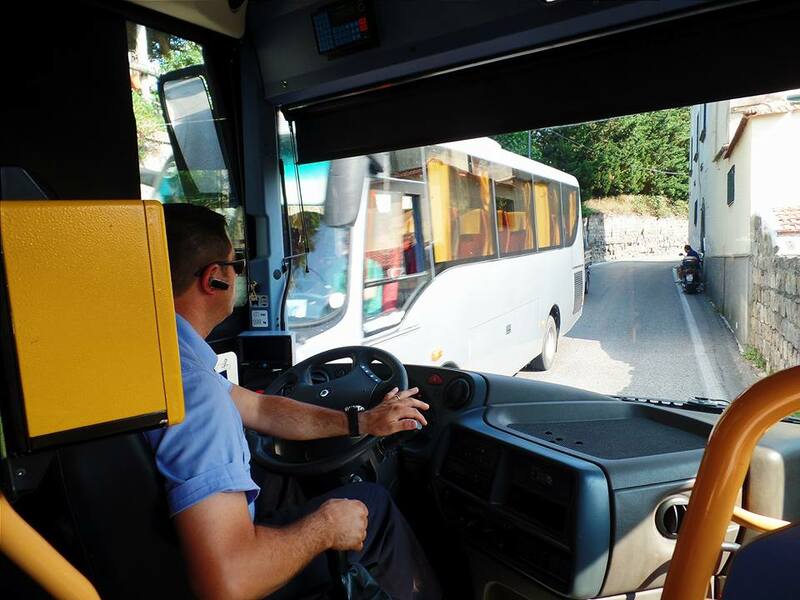 Though our bus could barely fit on the narrow roads and had to take turns with oncoming traffic, these bus drivers clearly knew what they’re doing. They were probably as impressive as the 19th century Italian engineers who built these same roads. The journey was complicated, but our efforts were rewarded. 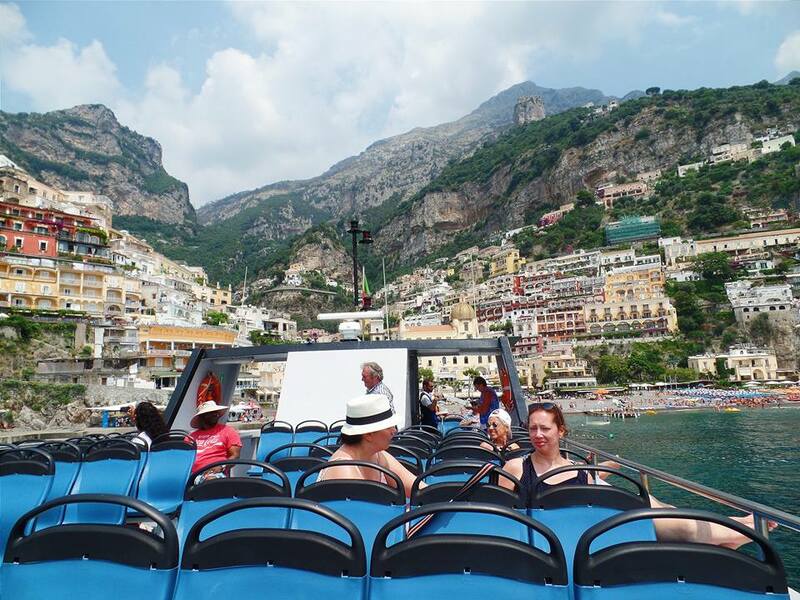 We knew immediately when our bus reached Positano; the town spills down the most dramatic stretch of the Amalfi Coast. The skyline looks almost exactly like it did a century ago, as it’s nearly impossible to get a building permit in Positano. The roofs are filled with sand, providing low-tech insulation to stay cool in the summer and warm in the winter. According to Greek legend, Poseidon created Positano for Pasitea, a nymph he lusted after. 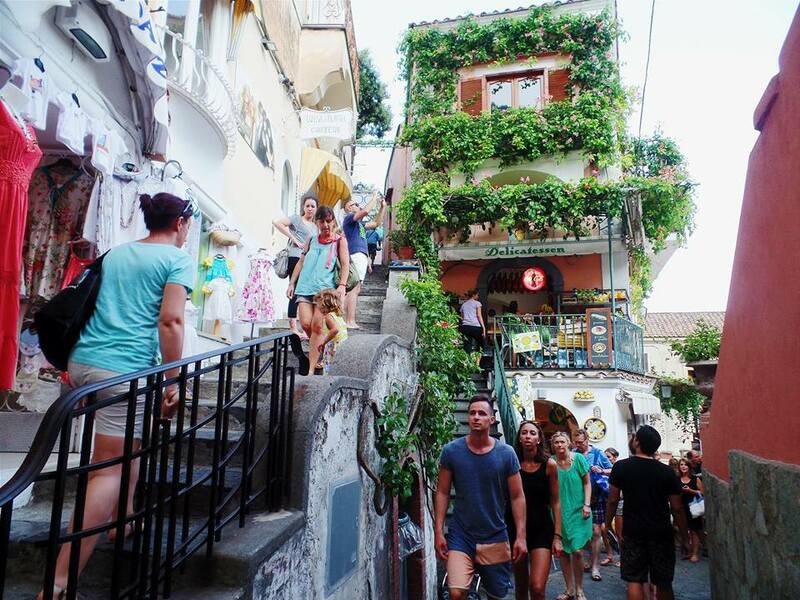 Positano was once a prosperous port village but fell into hardship after a huge tsunami and subsequent pirate raids. 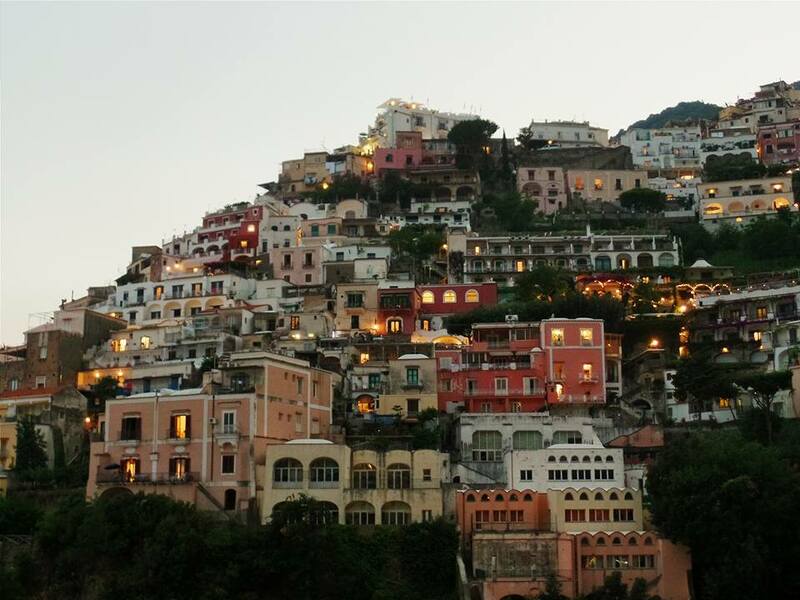 In the 20th century, Positano became a haven for artists and writers. 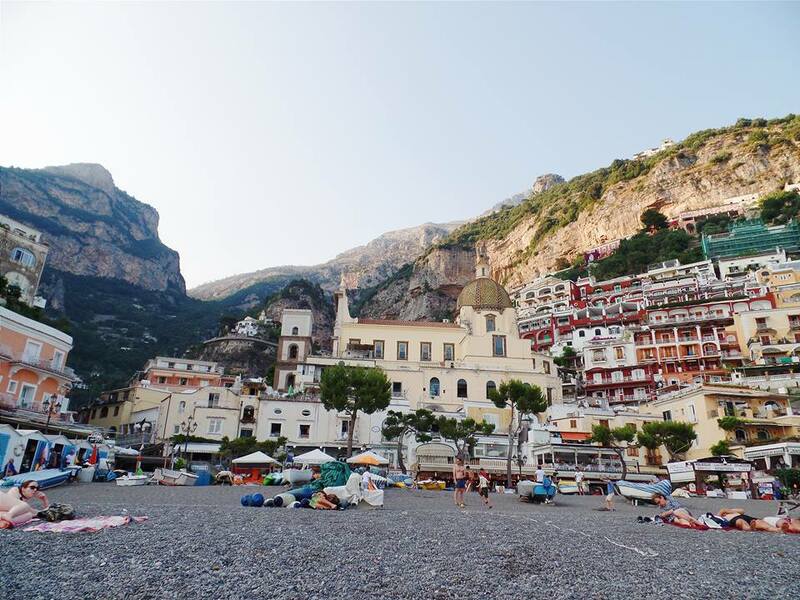 In 1953, John Steinbeck wrote an essay in Harper’s Bazaar, turning Positano into a trendy travel destination. Our hotel, Residence La Tavolozza, was the best hotel experience of our lives — and I’ve stayed at some pretty lavish hotels before. 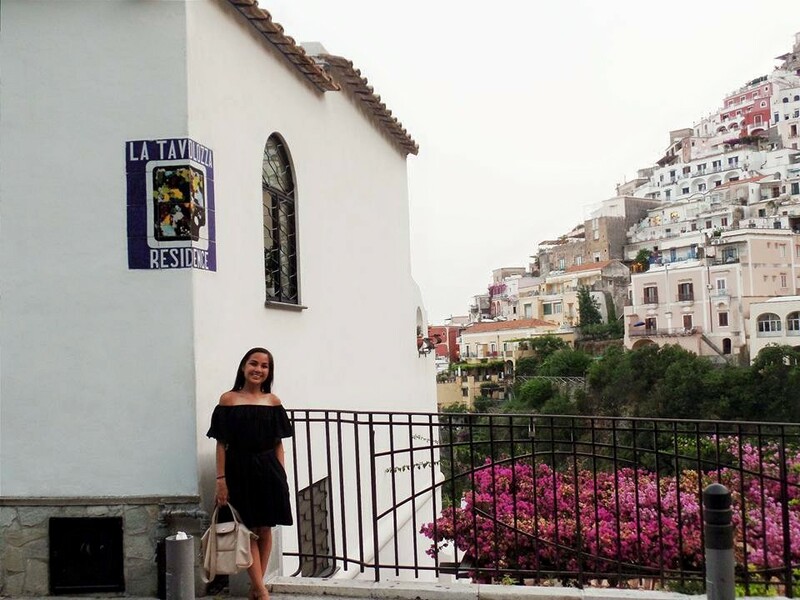 It’s not hard to please tourists here, as Positano is obviously stunning, but La Tavolozza takes advantage of the location and does it for a surprisingly low cost. Run by an adorable matriarchal family, the six-room hotel sits on a cliff and has a breathtaking view below. The service is exactly how it should be — unobtrusive, but always available. In fact, when we returned from the beach one day, we noticed that someone had folded all our clothes and organized our chargers. That’s definitely not something I expected, especially at this price! Our room, with high ceilings and ceramic tiled floors, was sparsely decorated, and rightly so — you don’t want to compete with the view. The best part was opening up the French doors to our huge balcony, which included two tables, two dining chairs, and two reclining beach chairs. I must have taken photos every single time I was out on our balcony, still amazed. Eventually, we forced ourselves outside and explored the area. Lemons and colorful ceramics were everywhere. Only one street in the whole town allows motorized vehicles, so staircases are the only way to get around. If only America despised cars as much! We went to the main beach, Spiaggia Grande, twice on our trip. We didn’t feel like paying €10 for the use of lounge chairs and umbrellas, so we claimed a spot in the free triangular section near the center. The water was clear and warm, and the smooth black rocks were actually preferable to sand because sand gets everywhere — into bags, into eyes, onto damp bodies. It was so lovely outside that we took our traditional Italian siesta on the beach. 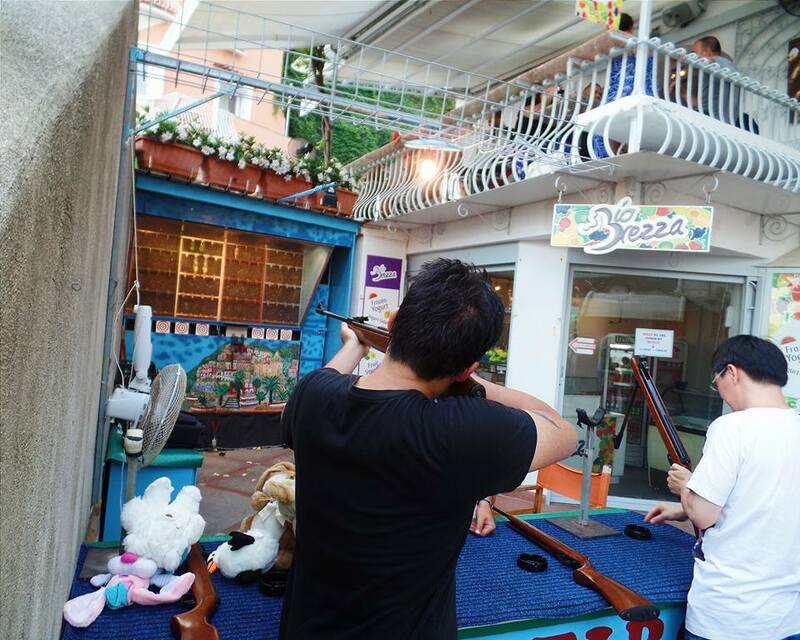 Just off Spiaggia Grande is a small shooting gallery, wedged between a staircase and a juice bar. Anthony has unsurprisingly good aim and won some kooky stuffed animals for me. The owner seemed to like us, and just after two visits, we already felt like regulars. We were reluctant to eat at any restaurants because we would rather eat on our balcony — and this is coming from someone whose main hobby is trying new restaurants. For most of our meals, we picked up snacks from a family-owned grocery store or pastries from a neighborhood bakery. This worked out well, since restaurants in Positano cater to tourists and aren’t as cheap as those in Florence or Rome. 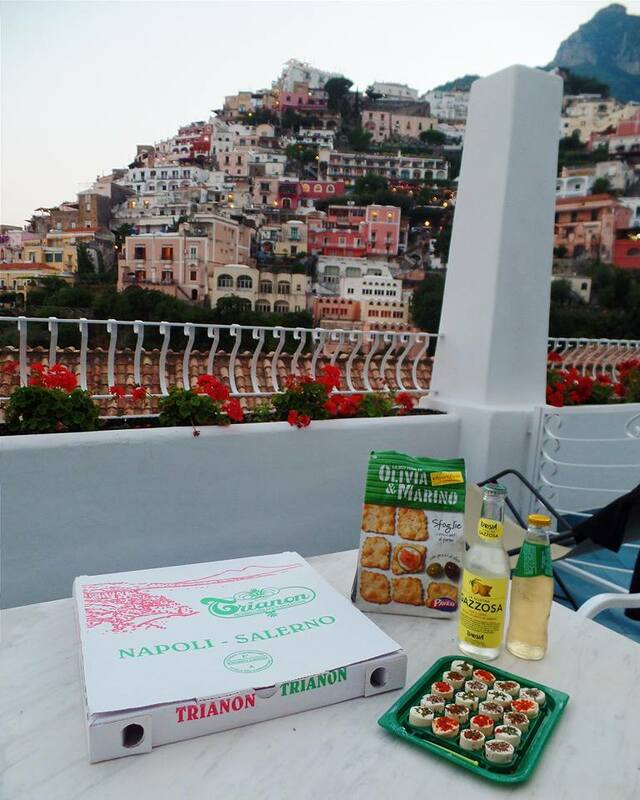 Our first dinner on our balcony included our pizza leftovers all the way from Naples! The view from our balcony was just as stunning at night, as the windows of homes on the opposite cliff turned a golden hue during dusk, then became brightly lit squares after the sun set. We met a couple from Seattle staying in the adjacent room and shared a bottle of nocciola (hazelnut) liqueur that we had bought back in Rome. They, too, were still stunned by the view. After a day of exploring, we returned to our hotel that afternoon and found a long candlestick on our desk. That night, we picked up some desserts to enjoy on our balcony and slept outside on the lounge chairs until our candlestick slowly burned out. Any dream that I may have had that night would pale in comparison to my reality. 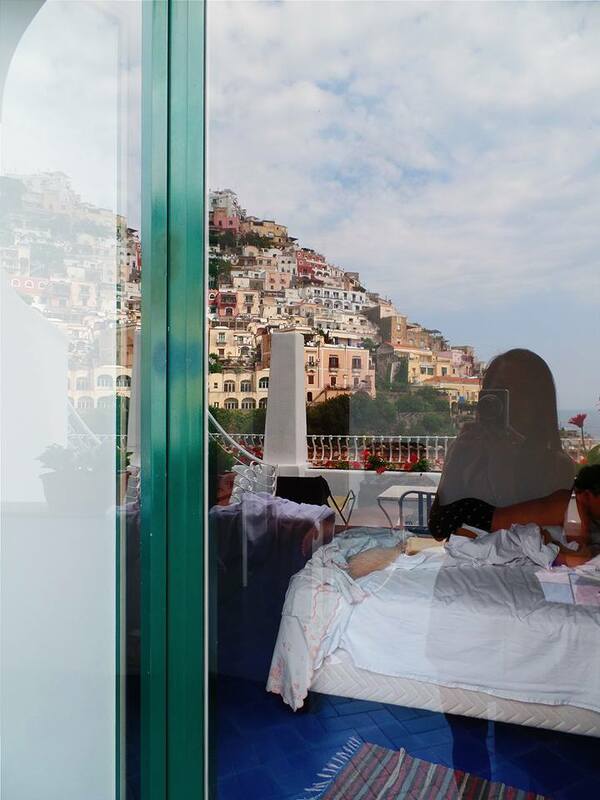 Waking up in Positano had to be one of the highlights of our entire Euro Trip. Each night, we slept with the glass doors closed and white curtains drawn, which provided just enough light and allowed us to still wake up to the view. It’s no wonder that Positano attracted so many artists and writers; the landscape could inspire anyone. 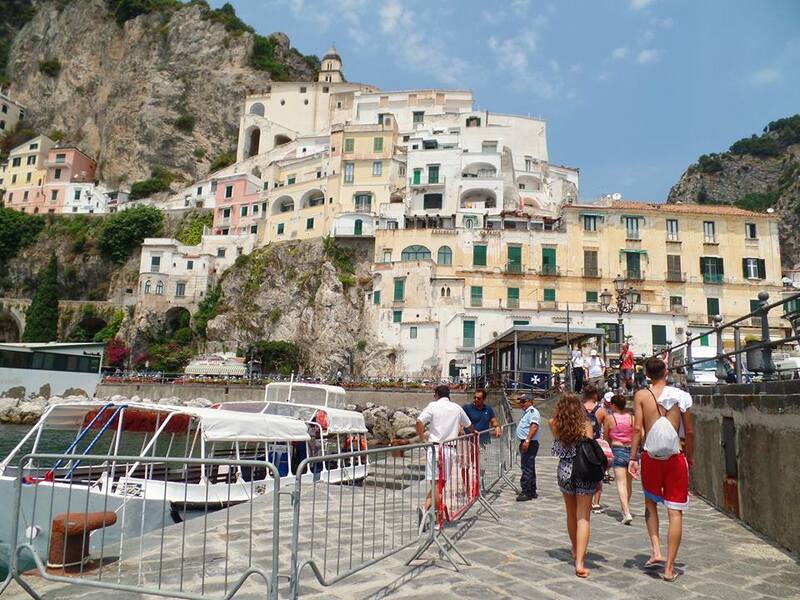 One day, we walked down to the harbor and caught a ferry to the nearby town of Amalfi, another major town on the Amalfi Coast. Although it seems close on a map, our boat ride was much longer than I expected, taking us past tiny hillside towns. 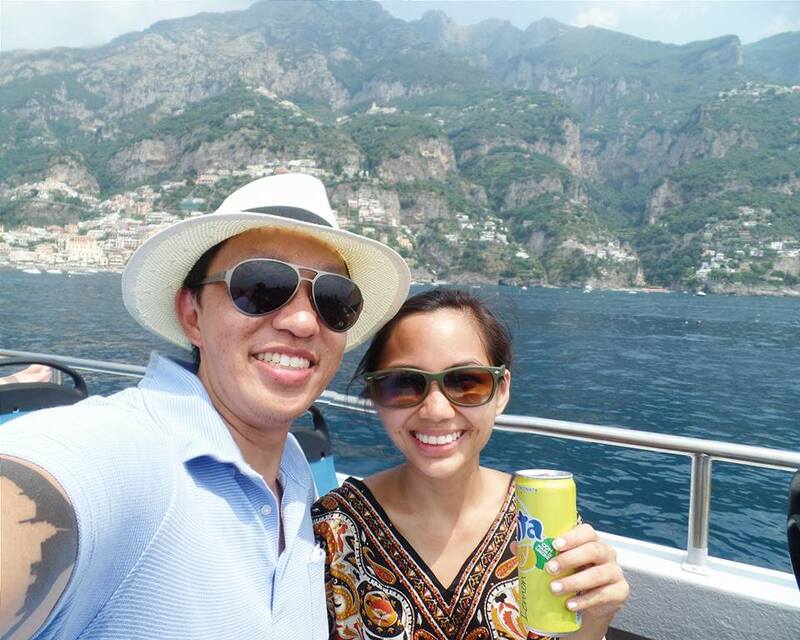 A man sold drinks on the boat, so we bought a can of limonata (a must on the Amalfi Coast!) and enjoyed the breeze. The ferry took us by some interesting sites, such as a huge cliff with a gaping hole right above a hotel, with homes sitting on top of it. 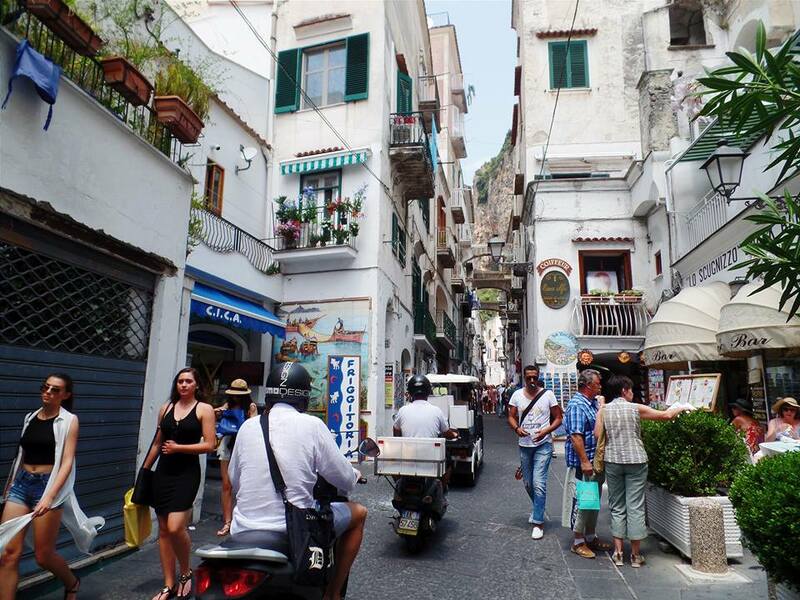 We eventually reached Amalfi, which has more shops than Positano but is not quite as picturesque. After Rome fell, the town of Amalfi was one of the first to trade goods, such as coffee, carpets, and paper, to the East. Its heydey was the 10th and 11th centuries, when it was a powerful maritime republic. 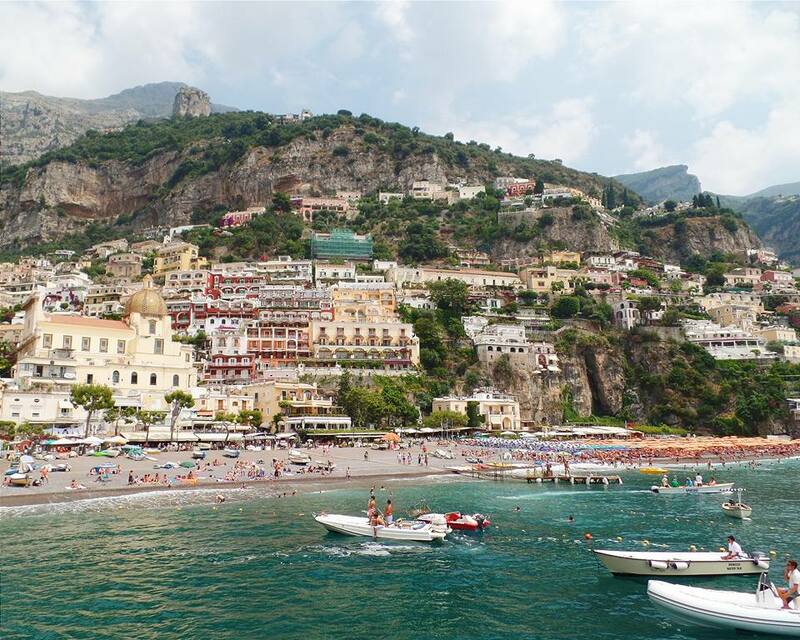 Amalfi even minted its own coins and established “rules of the sea” that are still used today. Its one main street runs up from the waterfront through a deep valley, with houses on either side. The uphill walk goes over a creek, since the town originally straddled a stream. We bought lemon souvenirs and ate gelato, but our most unique snack was from C.I.C.A. 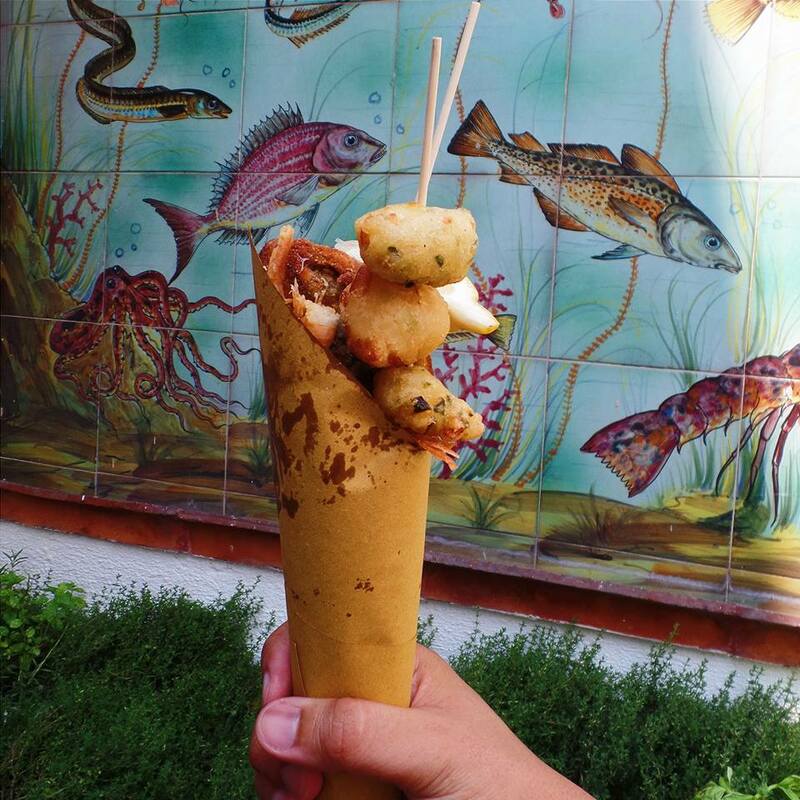 Pescheria, where we ate fritti (fried seafood) stuffed into a handheld paper cone. We squeezed some lemon on top and used the long picks to fish out the fritti. It was delightful and perfect for a Mediterranean merenda. 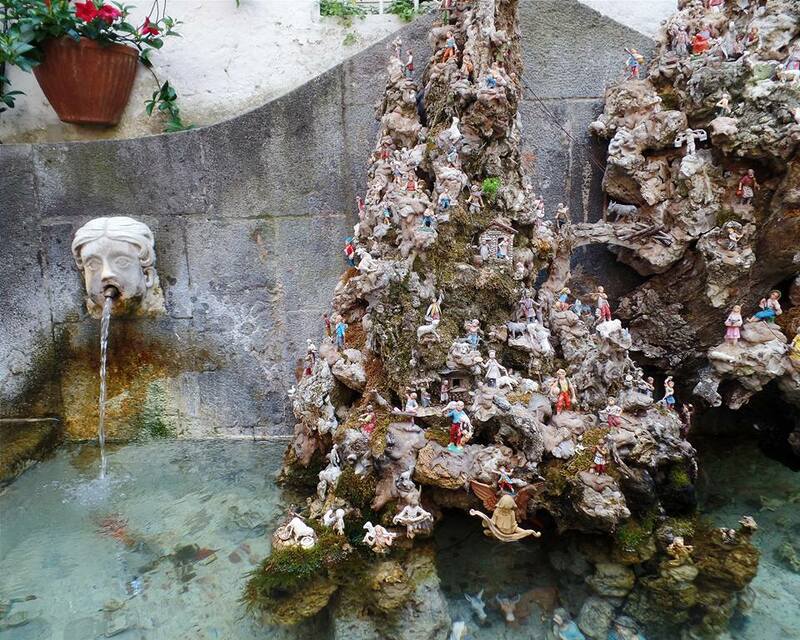 Amalfi was a quirky little town, with silly advertisements and extravagant fountains. 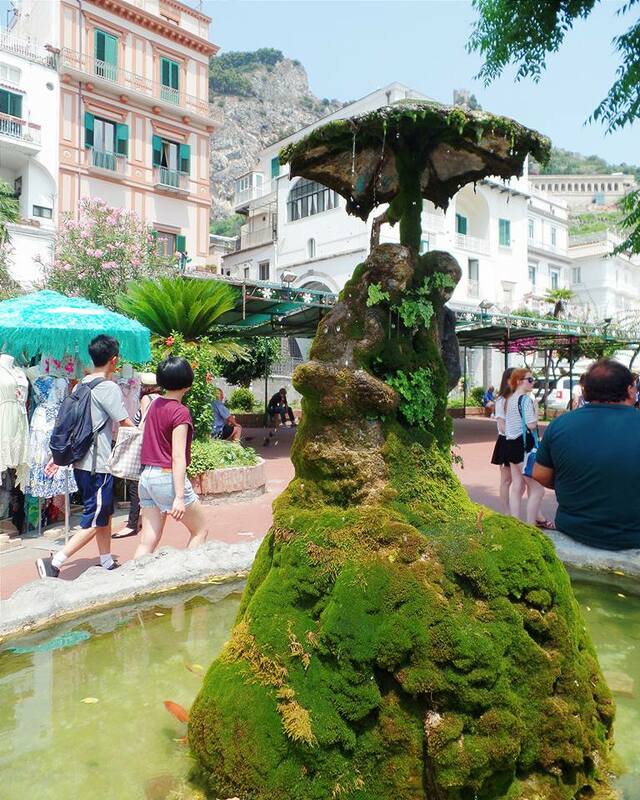 While we had gotten used to seeing artistic fountains during our time in Italy, none could compare to the unconventional ones found in Amalfi. 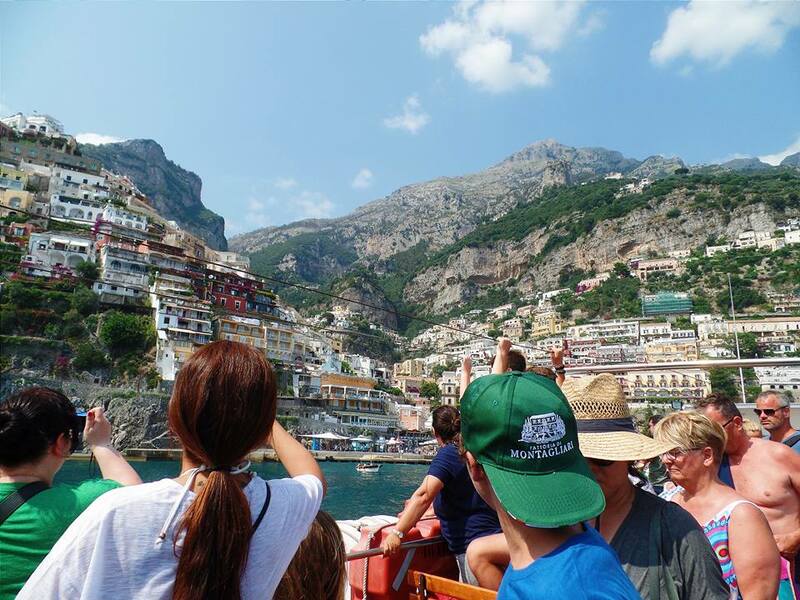 We caught a crowded ferry back to Positano. During the ride, a Japanese man started singing a traditional Neapolitan song called Santa Lucia. At first, most people on the boat rolled their eyes, half wondering if the man was crazy. But eventually, we realized that he’s actually a tour guide and was incredibly good — like, professional opera singer good — and some people joined in the singing and eagerly applauded when he was done. It’s always reassuring when true talent is universally recognized and appreciated. Our last day in Positano was a melancholy one. We picked up pastries from Collina Bakery, bought SITA bus tickets from a nearby tabacchi shop, and enjoyed our cornetti (stuffed Italian croissants) on our balcony for the very last time. During our bus ride back to Sorrento, we noticed some chaos outside causing traffic. It turned out to be a funeral procession, as a group of somber people in black followed a priest. I don’t know if it was the funeral or the fact that we were leaving Italy, but I started crying. Our time in Positano had been overwhelming; my heart had been swelling up with joy and affection for a while. I felt both pity for the deceased’s loved ones and envy that they could live here, while I must leave. I’ve always been fond of the places I visit, but this was the first time that I was completely devastated by an attachment to Italy. I’m probably the only American who wasn’t looking forward to an upcoming trip to Paris. I never wanted to leave. Even our hotel owner knowingly said as we checked out that morning, “There’s something special about Positano, isn’t there?” I will definitely be back some day — but until then, bonjour, Paris! 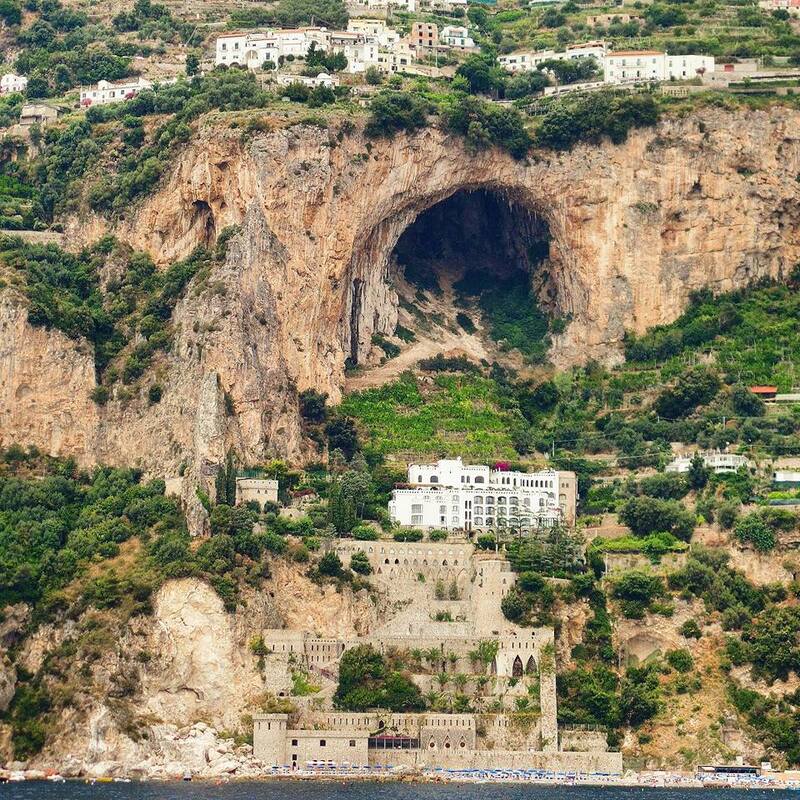 When catching the SITA bus to the Amalfi Coast, sit on the right side of the bus for the best views. Make sure your luggage is well-secured, as the bus makes sudden turns. If you’re visiting during high season, book your hotel room early, especially if you’re considering a place like La Tavolozza, which has only six rooms. There is simply no room for hideous chain hotels, so don’t expect to find a Hilton or Marriott here; Positano has too much pride for those. 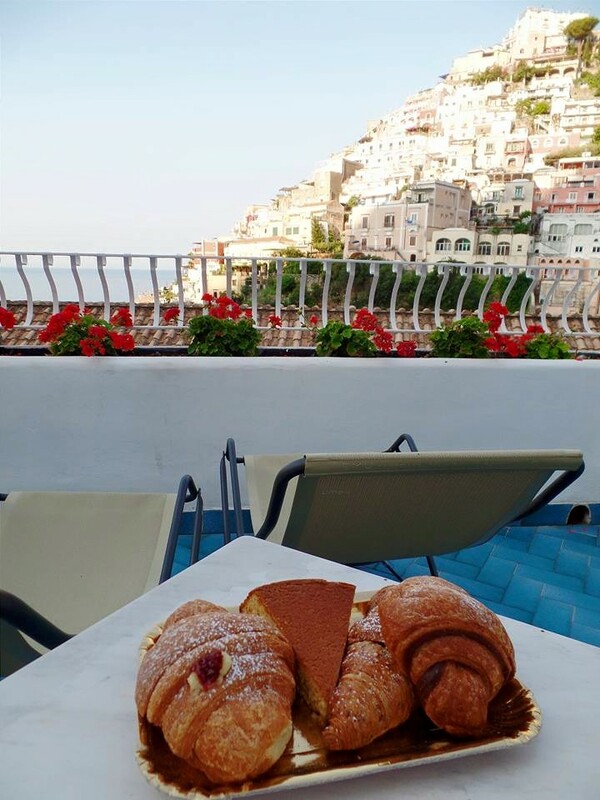 If you’re reluctant to leave your balcony like we were, grocery stores are great for dinners (e.g., Vini e Panini), and bakeries (e.g., La Zagara and Collina Bakery) are perfect for breakfast pastries. Don’t forget some limonata! Bring everything back to your balcony and never leave again. 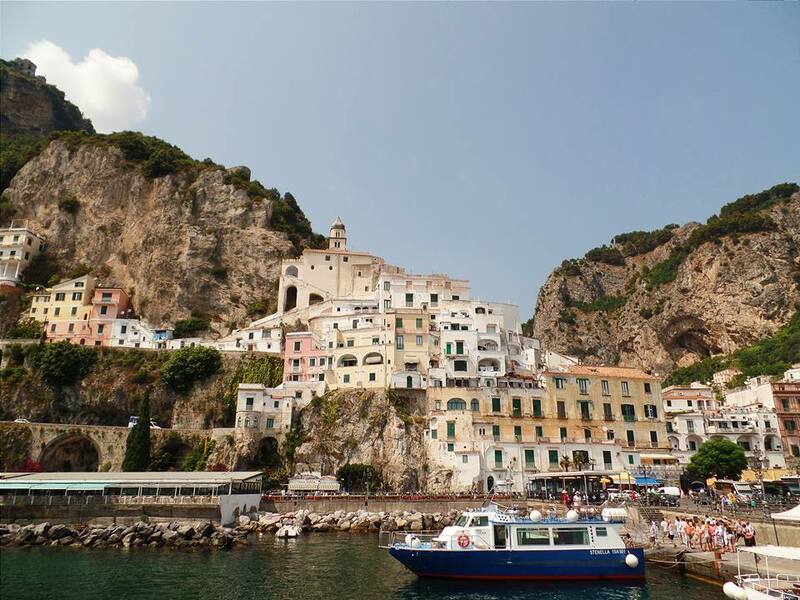 You can’t stay on the Amalfi Coast without taking a ferry for a day trip to another town. When you arrive at your destination, check the times for returning ferries. Plan around that and make sure you don’t miss the last one. 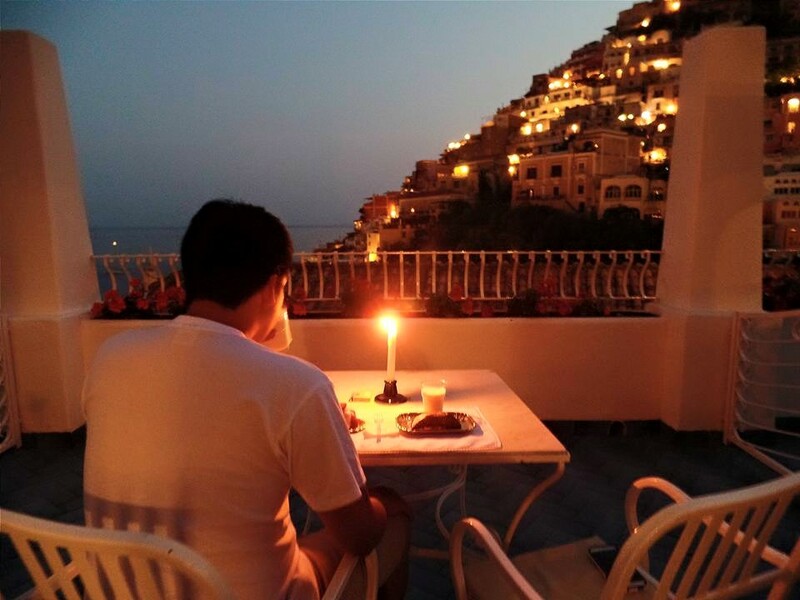 Don’t visit Positano unless you are prepared for a heartbreaking good-bye. I stayed in the Blue Room! And I think the room right next door (with the same beautiful view) is the Red Room.